Chris and Emma at the RAC Club Chablis evening of 2013, enjoying one of the finest white wines in the world - from Chablis of course. 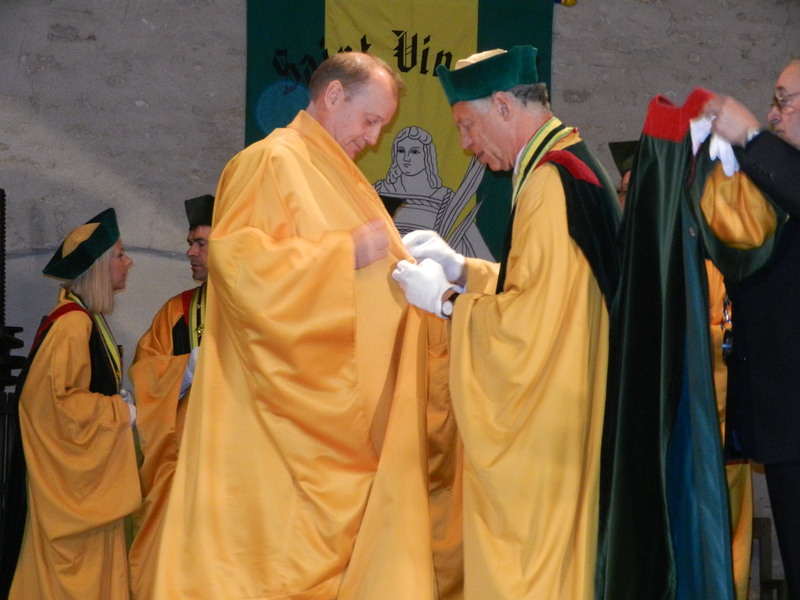 Chris robing up for a Piliers Chablisiens ceremony!! 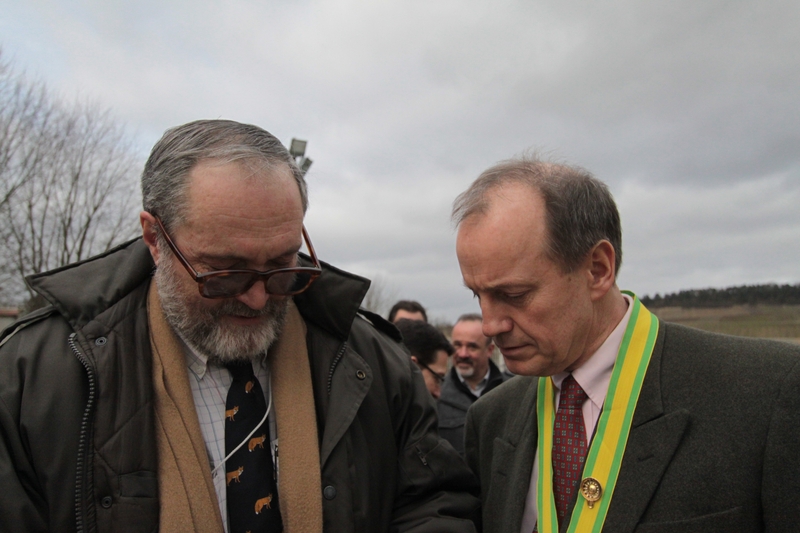 Jean-Paul Renard, legendary latinist, lepidopterist, Avocat, fisherman, agronomist, spoonerist and wine-lover; the origin of Chris's Chablis life. 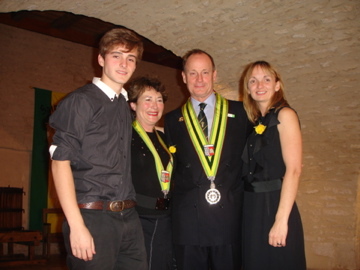 Chris in the Petit Pontigny cellars, with his wife Liz and son Alex, and the great Lyne Marchive of the Domaine des Malandes.